Walking into the main entrance of Ballou High School will instantly make you wish this is what your high school had looked like. You’re immediately greeted with custom murals and a brilliant display of 70-inch light fixtures suspended above you. 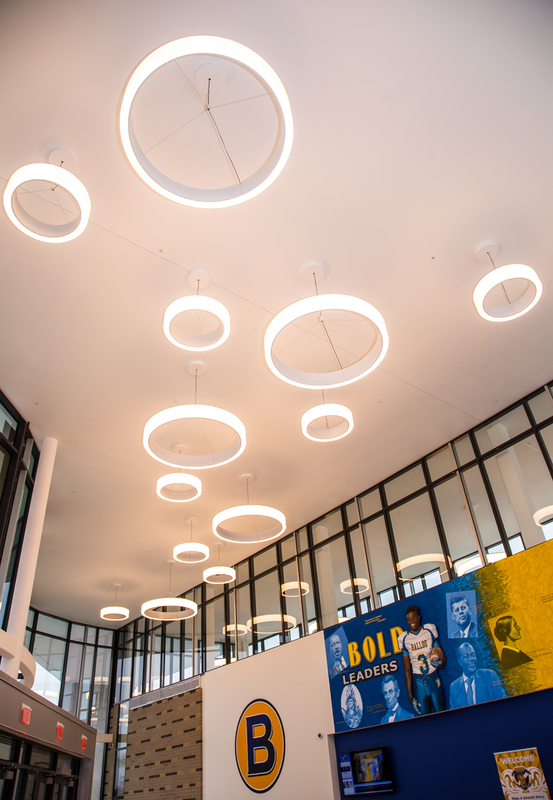 The light fixtures, along with all the electrical work in the building, were completed by Electrical Alliance contractor, Heller Electric Company, Inc., in just over a year. 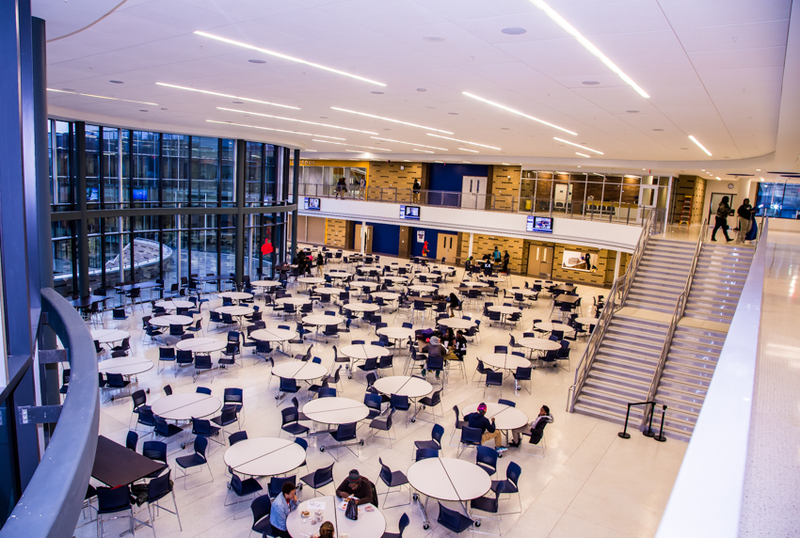 Ballou is on track to receive a LEED – Gold certification. 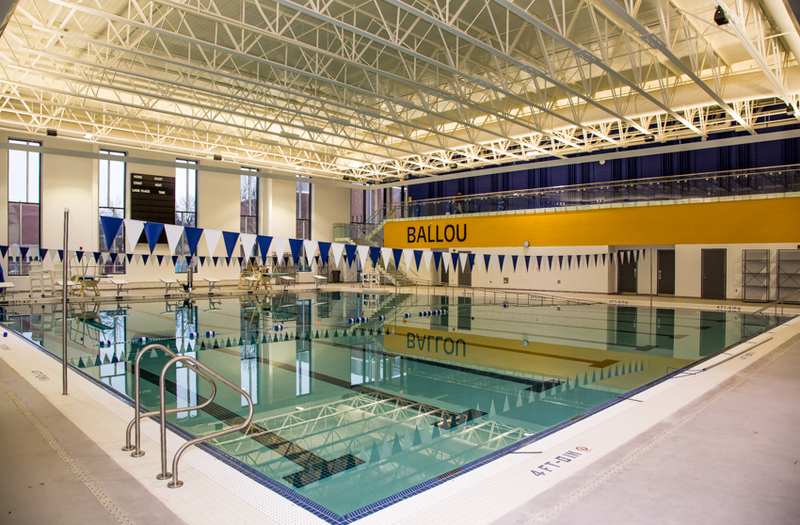 The successful completion of Ballou is even more impressive considering this design-build project was done on a very short schedule and required a tremendous amount of collaboration between construction trades. “Everything was a coordination effort, “said Jason Clurman, vice president of operations for Heller Electric. Throughout the process, Heller constantly coordinated with many different trades in order to get everything done within tight time constraints. “When you start to piece the whole puzzle together, that’s when you understand the magnitude of the electrical project,” said Clurman. During its busiest days, over 500 workers were on the project, including as many as 60 electricians that Heller had to assure were on track. The new “green” Ballou High School, located in Washington D.C. encompasses 356,000 square feet and sits on a 16.4-acre hillside. The 1400-student education space includes a full-service automotive shop, a collegiate-level swimming pool and a state-of-the-art theatre, just to name a few things. The Heller team had their work cut out for them when building Ballou’s state-of-the art theatre. The theater is filled with custom lighting, including illumination along all aisles, lights on each chair, a fully equipped media room and fully stocked stage lighting. Construction of the theater began before all plans were completed and Heller took a leading role in assuring the theater was properly built and delivered on time. 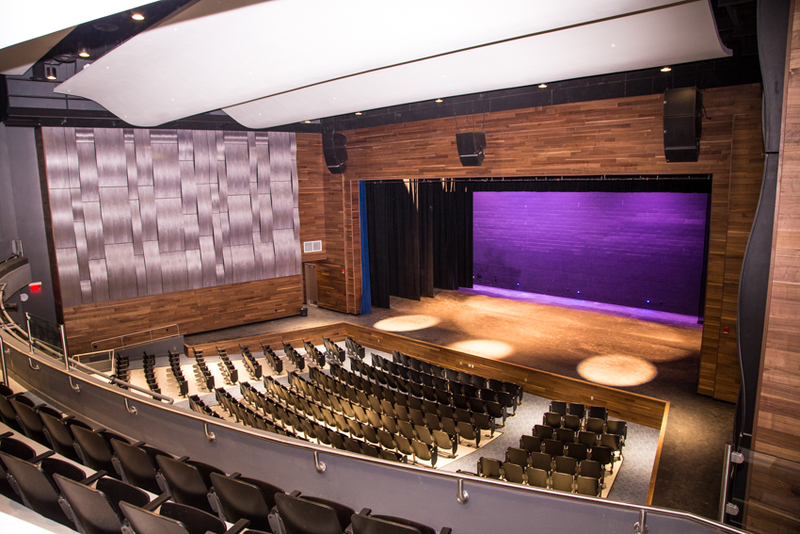 In addition to all the stage lights, Heller was also responsible for the installation of all sound and video systems in the theater, a project that required its own sub foreman dedicated to the space. The collegiate-level swimming pool is situated inside the school with trough lighting that traces the ceiling of the building. Heller installed this lighting in record time and had to incorporate the sloped ceiling to make sure all the lighting was even and properly installed. 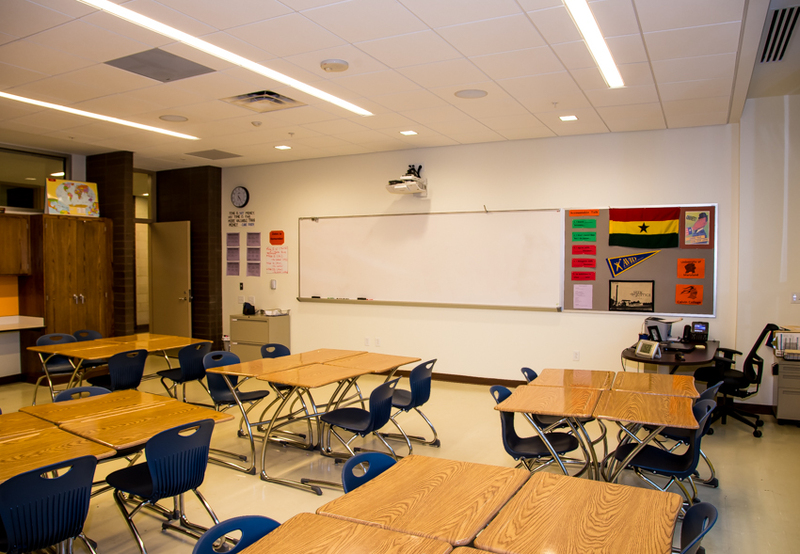 Every classroom in the school is considered a SMART classroom that holds a projector wired to a teacher station, its own sound reinforcement and a two-way speaker to communicate with the school office. 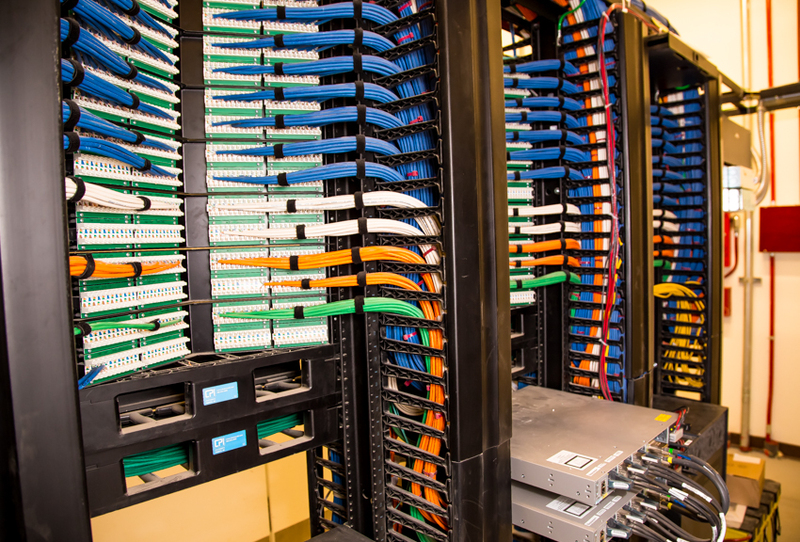 The school is also completely wired with a streaming video system (IPTV). The theatre and gym are wired to stream games or performances to multiple parts of the school for easy viewing. In addition, the school is equipped with wireless access points throughout the entire school to provide seamless WIFI. The school also has a complex security system, with over 200 cameras throughout the school including a set up at each entrance and exit. The project, which cost roughly $140 million (for phase 1), and is part of the District’s effort to promote the highest level of architectural sustainability. In 2006, the District passed one of the strictest green building codes in the country, requiring that all D.C. buildings meet the U.S. Green Building Council’s LEED certification standards of environmental performance. 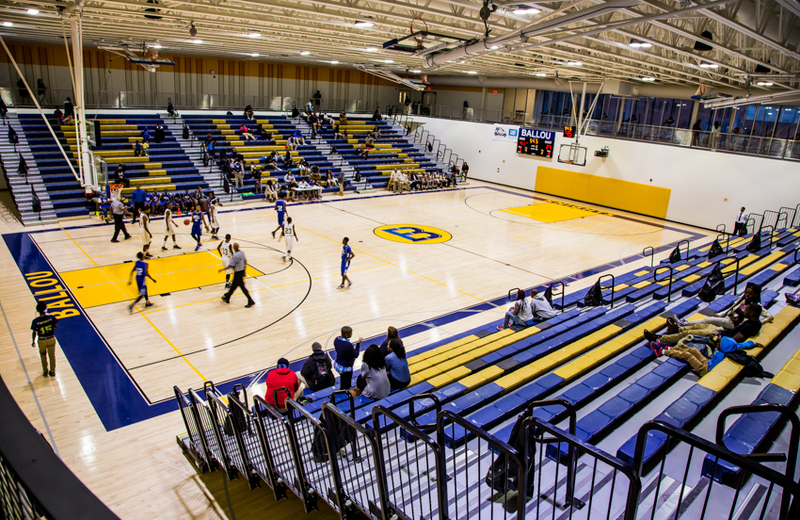 While the majority of Ballou High School is complete, Heller will also be brought in for phase two of the project which will include electrical work, site lighting, and sound systems for their new athletic fields.